Nexicom Review 2019: Is Nexicom a Good Hosting? Originally founded in 1898 as The Turner Telephone Company, Nexicom is a telecommunications and web hosting provider based in Ontario, Canada. They provide shared hosting and web design to their local customer base. Originally founded in 1898 as The Turner Telephone Company, Nexicom is a telecommunications and web hosting provider based in Ontario, Canada. They offer shared hosting and web design, which they market primarily to their local customer base. They currently host over 1,500 websites on their servers. Nexicom started out as a small family-owned company with telecommunications as their main offerings. This means that their web hosting services, while adequate and definitely a value-added service for their local customer base, aren’t anything spectacular. Note that the most basic package offers support for SSI, PHP, and error logs, but not for a private CGI-BIN, Perl, JSP, and Python. You’ll have to opt for their Silver plan or better for more scripting languages. 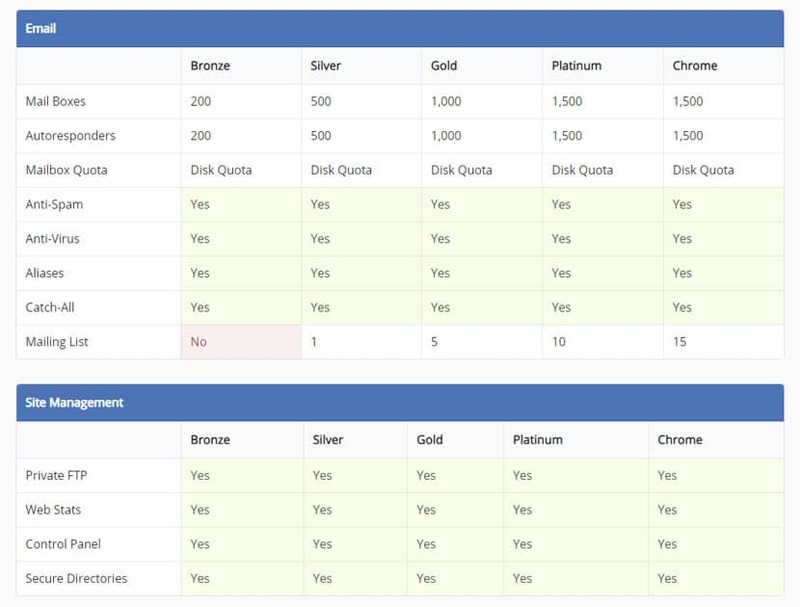 Their Chrome plan is the highest-tier package available. This bumps you up to 20GB disk space, 1500 email accounts, 1500 autoresponders, and 200GB bandwidth. You also get 15 mailing lists, 15 MySQL databases, and support for all the scripting languages. Their hosting packages are limited: they don’t offer free SSL certificates with any of their hosting packages, and there’s no one-click app installer or polished account management portal, no uptime guarantees, and they do not have many features such as a DIY website builder to help you get your website up and running. If you need help launching your website, they do have a web design service – however, as expected, their portfolio is limited to local businesses who only require a basic online presence. They can help you install WordPress and maintain your website on a regular basis though, so this may be a feasible option for non-tech-savvy customers who want to delegate the work of managing a website to a local business they know and trust. Considering the resources and features they offer, Nexicom’s five shared hosting packages are priced considerably higher than similar offerings from their competitors. This, again, is reflective of their business model: their web hosting service is a side offering to help customers – primarily local businesses – establish a basic online presence in Ontario. There’s no free trial or money back guarantee available. If you need technical assistance or want to upgrade or downgrade your plan, you’ll have to call or email their support representatives. They have a toll-free number as well as local lines available from 8am to 10pm Monday through Friday, 8am to 5pm on Saturday, and 9am to 5pm on Sunday. They also have four physical offices located in Ontario. Nexicom’s shared hosting services can’t compare to more established hosting providers in terms of price and features offered. However, their business model will likely appeal to local customers who need a friendly, trustworthy hosting service as an add-on to their telecommunications package. Wondering how Nexicom stacks up against other Web Hosting companies? Enter any other Web Hosting company and we will give you a side-by-side comparison.